With all the excitement, one can’t help but wonder – are companies actually making money by using video? Is video really the ultimate pathway to digital marketing success? Video itself is not a panacea for all marketing and sales shortcomings. It is HOW it’s used that moves the needle. Just like many companies, even those with unlimited resources fail to harness the power of advertising to sustain growth, most organizations today are missing the bullseye when it comes the utilizing video to generate revenue. In the early 2000s, due to the rise of Google, every business felt a sense of urgency in being well represented on the internet. No one wanted to miss the party. Folks were under the impression that owning a website was automatically going to create new business opportunities. They will soon realize that getting indexed by search engines was not enough. Online success required a lot more work and dedication than most marketers were prepared for. This predicament gave birth to a whole new industry known today as Digital Marketing with SEO being one of its major components. Know thyself – A fundamental rule of life also applies in this context. To determine what you need, you must first figure out who you are and what you’re after. Take an honest look at your company, its current reputation, offerings and challenges. Based on your findings, identify a set of goals to achieve in a given period of time. This exercise will allow you to stop reacting to daily news and focus instead on what will actually work for your company. Follow a roadmap – Now that you’ve chosen a destination, outline a path to get there. Determine the “HOW” of it all. What is the message, in other words the vessel needed to reach your destination? What types of video communications are going to be necessary to touch and move the targeted audience? These questions will help establish solid foundations for your video strategy. Draft a rigorous schedule for all deliverables and launch each project in a choreographed manner from Q1 through Q4. Let the pros do it – DIY can be a viable money saving option but causing reputational damage to your brand due to an amateur execution may outweigh the discount. Beyond doing the work, a video marketing agency will bring best practices, streamlined processes, great ideas from previous projects and tactical solutions as added value. Why reinvent the wheel when you can take advantage of proven methods? Deliver & share – Workflow optimization will play a pivotal role in your success. Once the assets are produced, it is critical to have a systematic approach to internal sharing and full blown campaigns. Hosting and publishing platforms such as YouTube, Vimeo, Facebook, Twitter, BrightCove or LinkedIn each come with unique features that can be leveraged to meet specific expectations. This is the win or lose factor in your equation. Your assets must be seen, shared and talked about. Social media, website showcase pages, email marketing or sponsored content can all be part of a well orchestrated distribution master plan. Track & adjust – The more insight gathered on how your assets are being consumed the better. Viewer behaviors and tendencies will give you a clear understanding of what it takes to improve conversion. Video data specialists such as Vidyard can provide astonishing details on performance and arm you with actionable intelligence in order to make the right adjustments when necessary. Leverage your assets – Once you’ve gauged the convincing power in each of your videos, they must be fully integrated into your business development process. Direct communications, corporate events and sales presentations could all get an energy boost from relevant video content. Video helps establish trust and consequently, shorten the sales cycle. Take a look at your current numbers, then image the closing ratio being improved by 25 to 30%. What would that look like on the balance sheet? This is how video affects your bottom line. 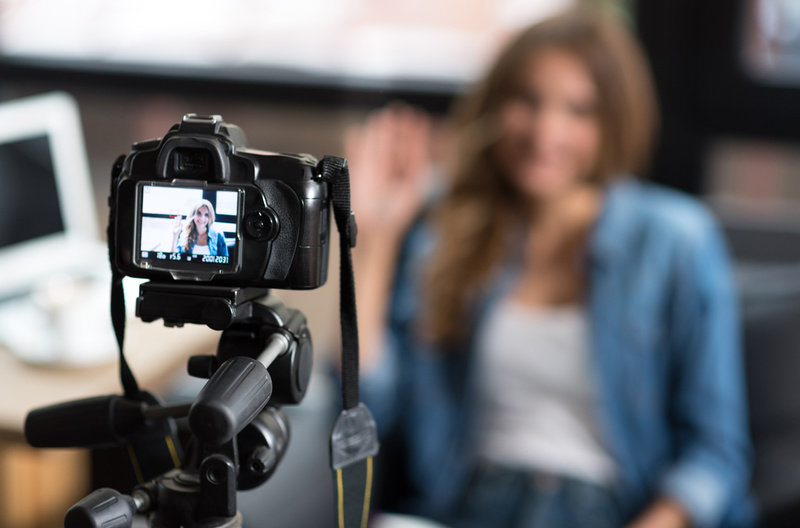 Create a new culture – Filming and producing videos in a corporate environment can be an exciting experience for everyone involved and a great community building exercise. Do not hesitate to ask clients for testimonial as it shows a sense of appreciation for their loyalty. Making video a part of your company culture will facilitate adoption and strengthen support for the program. In addition, each department must be educated on how to better utilize video for maximum overall ROI. In Conclusion, video is here to stay and as of now, we are only seeing the tip of the iceberg. Avoid the dangers of operating in reactive mode. Plan ahead and implement a video strategy designed for your specific needs. Be consistent and stay true to your identity, culture and value promises. Make your audience take action by providing relevant content and display your assets everywhere an opportunity to make a lasting impression presents itself. These are the keys to video marketing success. Use them wisely.